‘Puriyaadha Pudhir’ (translates to The Mystifying Puzzle) is the long-in-the-offing debut venture of writer-director Ranjit Jeyakodi. The movie opens to a woman jumping off the top of a building (to certain death) – an edgy way to kick things off, but the initial portions (of the first half) attempt to give a fallacious sense of consolation that this film is about a much- seen-before breezy romance featuring Kathir (Vijay Sethupathi) and Meera (Gayathrie), one that changes course quite early on. Kathir’s friends get targeted by a cyber-bully (who publishes videos of them in compromising positions – one hooking up with the boss’ wife, another scoring drugs) and while he shrugs it off as what they deserved for their savage-in-private mentalities (although he still considers them his besties) at first, he soon realizes that his girlfriend too is at the receiving end of the bargain. Kathir gets disconcerting videos of her changing in a trial room, taking a shower and so on. Like Kathir, we wonder how the apparent cyber-criminal is able to pull off one feat after another with terrifying results. This is probably the first time in a while, that one feels the tangible presence of something sinister lurking in the shadows (a real, stalker-human threat, not something supernatural) when the cinematographer (Dinesh Krishnan who does exceptional work in these sequences) follows Meera rushing to get to her apartment. The sense of dread is all too evident, but we don’t know the answer to the ‘Who?’ or ‘Why?’ yet. Almost made me sit up on the bed while I was watching! The romance is the perfectly-wrapped cliché. Their first glance, the second ‘all too co-incidental’ meet-up, everything that follows is from the worn-out template what we’ve seen in countless films before. But Sethupathi is wonderful as always (he’s in his younger, leaner avatar here – the movie began shoot 3-4 years ago and was under production delay) while Gayathrie could have been more emotionally expressive (there’s a certain woodenness to her, unless she feels threatened). I loved the scene where a helpless Kathir goes to the police station but the cops need “evidence” (i.e. the compromising videos taken of the victim – poignantly revealing how perverted even some of our law-keepers are) of the crime in order to proceed. I loved how Kathir was forced (by the online blackmailer) to flash on a busy street during heavy downpour. Even the interval block intrigues. Alas, that’s as far as good things go. The big reveal comes around a little too soon (via the most groan-worthy device in the history of cinema – a diary detailing a flashback story – one that’s all too predictable but raises more questions than answers). The character played by Ramesh Thilak also didn’t fit into the proceedings at all – it almost felt like a blatant manoeuvre to divert audience expectations, no proper beginning or closure given. 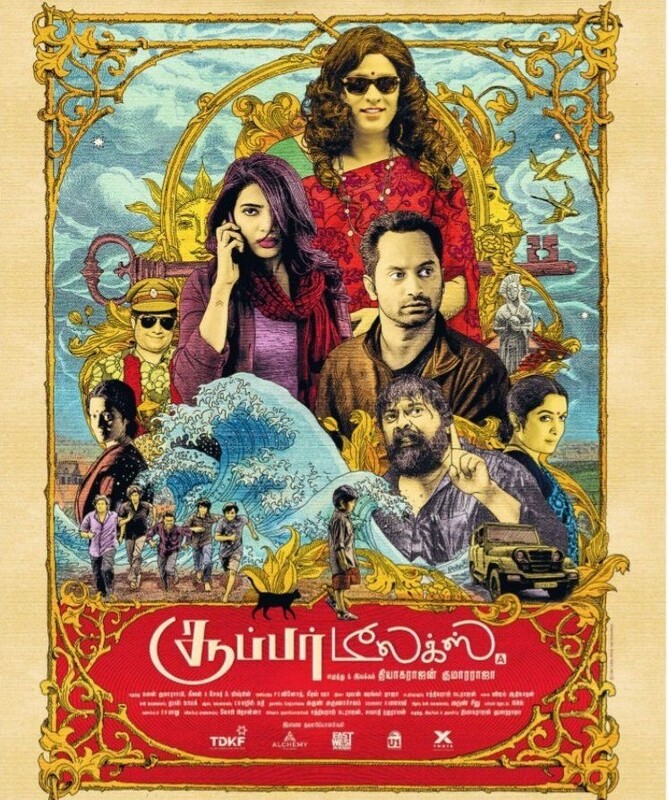 The music (the Hariharan-Harini melody is sensuous to the ears) and background score (that raise the right kind of eerie feel, especially during the ‘apartment’ portions) by CS Sam impresses. At 1h 55 minutes, this movie remains thoroughly watchable (although there are plenty of leakages in the script – mostly in trying to link the past with the present that could have used some fixing). I’d actually suggest another movie (tackling the concept of voyeurism) which was executed in a much better, less commercial manner – ‘Lens’. Verdict: Needed a better climax and overall packaging!